BP’s future as a global concern was at stake tonight after the US Attorney General, announced that he was launching a criminal and a civil investigation into the Louisiana oil spill. As Eric Holder made his announcement, the British company’s chief executive fought to halt a headlong slide in its stock price. After losing a third of its value in just six weeks, BP is expected to promise shareholders their full annual dividend in a last-ditch bid to retain their loyalty. More than £12 billion was wiped off the company’s value today alone, as Mr Obama dispatched his top prosecutor to Louisiana and vowed to bring to justice those responsible for what he called “the greatest environmental disaster of its kind in our history”. Shares in what used to be Britain’s biggest company endured their worst day’s trading in more than two decades, dragging down the FTSE 100 index and with it the value of dozens of leading pension funds. In Washington, Mr Obama stepped up his efforts to assert control over the disaster response with his second televised address in less than a week. “If our laws have been broken leading to this death and destruction, my solemn pledge is that we will bring those responsible to justice on behalf of the victims of the catastrophe and the people of the Gulf region,” he said. Mr Holder announced that he was launching a criminal and a civil investigation into the oil spill. Earlier, he met Louisiana law enforcement officials in New Orleans after ordering BP to preserve records that could shed light on what led to the disaster. He has also instructed US Department of Justice staff to look for evidence of “malfeasance” in the days and hours before the Deepwater Horizon rig blew up. Attorney General Eric Holder has launched a criminal and civil investigation into Deepwater Horizon. 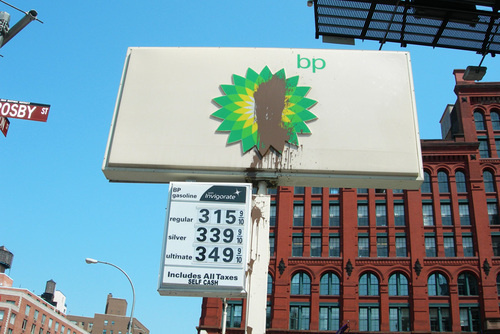 Although expected, this confirms the worst fears of BP CEO Tony Hayward and associated executives. “If I were an exec at BP, I wouldn’t be sleeping for the next several years,” said Tony Buzbee, a trial lawyer who has faced BP in several cases. Buzbee expects a federal criminal investigation to occur in secrecy over several years. The most likely charge is violation of the Clean Air and Water act, which could lead to one year in jail for persons deemed responsible. Manslaughter charges are unlikely, as these fall outside the ambit of a federal prosecutor, according to Buzbee. Holder said the investigation would be comprehensive and aggressive. He promised that the federal officials will prosecute anyone who broke the law. Holder, who made the announcement during a visit to the Gulf, called early signs of the spill heartbreaking and tragic. The attorney general was in the Gulf to survey the BP oil spill and meet with state attorneys general and federal prosecutors from Louisiana, Alabama and Mississippi, according to the Justice Department. Some context for understanding possible points of interest for DoJ investigators comes from a preliminary report released last week by Robert Bea, the Director of UC Berkeley’s Catastrophic Risk Management Center: “Failures of the Deepwater Horizon Semi-Submersible Drilling Unit.” Bea’s report, which he describes as “preliminary insights … based upon more than 500 hours of analyses of currently available data provided by approximately 60 informants,” places joint responsibility for the disaster on both BP and the regulatory authority, MMS. flawed design and maintenance of the final line of defense — including the shear rams of the Blow Out Preventer (BOP) and the associated electrical and hydraulic equipment. I’m not sure at what point any of the multiple instances of BP incompetence cross the line into criminal malfeasance, but we will certainly be learning more about that in the weeks and months to come. In the meantime, BP CEO Tony Hayward says: “I want my life back.” I don’t think he’s going to get it. New laws are coming. One option would be to address the negative externality of cleanup costs: taxing all oil companies and processors in the United States, and forcing them to use the funds to explore new technologies to be used in the event of a disaster. For even if BP had managed to prevent the Deepwater Horizon incident, another catastrophic oil spill would have happened somewhere else, sometime soon. The technologies used to contain and clean up oil remain rudimentary and highly ineffective, particularly those used at sea — top kill, bags of hair, faulty seals. (Of all the well shut-down methods I have seen, it is distressing that the Russians’ controlled nuclear explosion has seemed most promising.) The next conflagration will take light at some point. It would be useful to force the companies at fault to invent the fire hydrant before then. How to structure the tax? I leave it to the public policy experts to figure that out. But I would imagine either requiring oil companies’ U.S. subsidiaries to spend one or two percent of profits on cleanup and prevention research, then allowing them to license or sell their products to one another; or taxing the oil companies’ U.S. subsidiaries, putting the funds into a pool and having the government disburse the money to vetted research organizations.